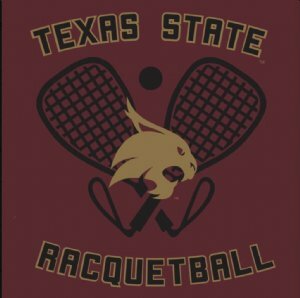 Come join the Texas State Racquetball Club as we host another Bobcat Open in beautiful San Marcos! Singles will be Saturday and doubles on Sunday. The main location will be the Student Recreation Center that has 4 glass courts with great viewing. The Second location will be the Jowers Center that has 8 courts with overhead viewing. Divisions will be round robin/pool play or single elimination with consolation depending on number of participants. Games will be to 11 with a tie breaker to 7. There will be a payout of Men’s Open and Men’s Open doubles. All ages and skill levels are welcomed! Hope to see everyone down in San Marcos!